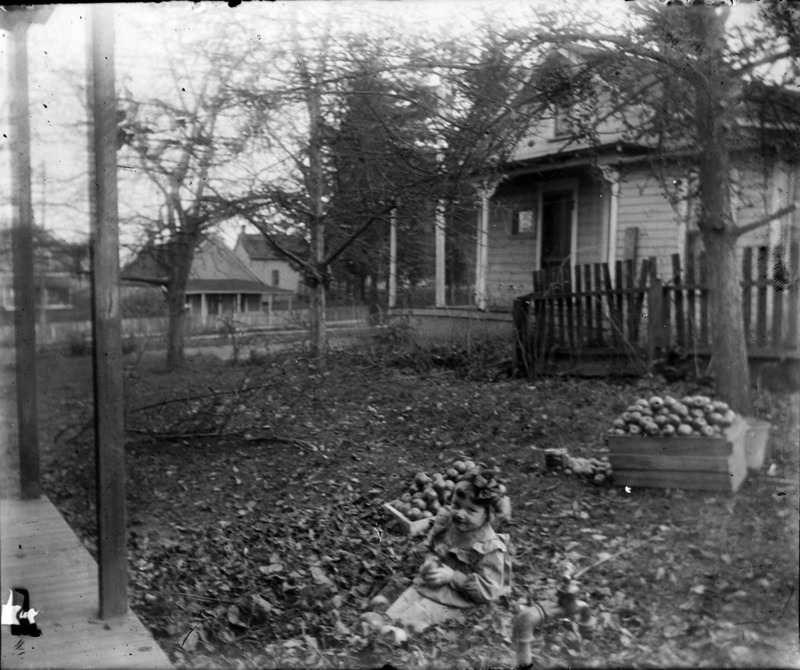 The Everett Museum of History “monuments men and women” unveiled more images from a box of glass negatives we found in the museum collection. The collection is estimated to be 1894-1920. 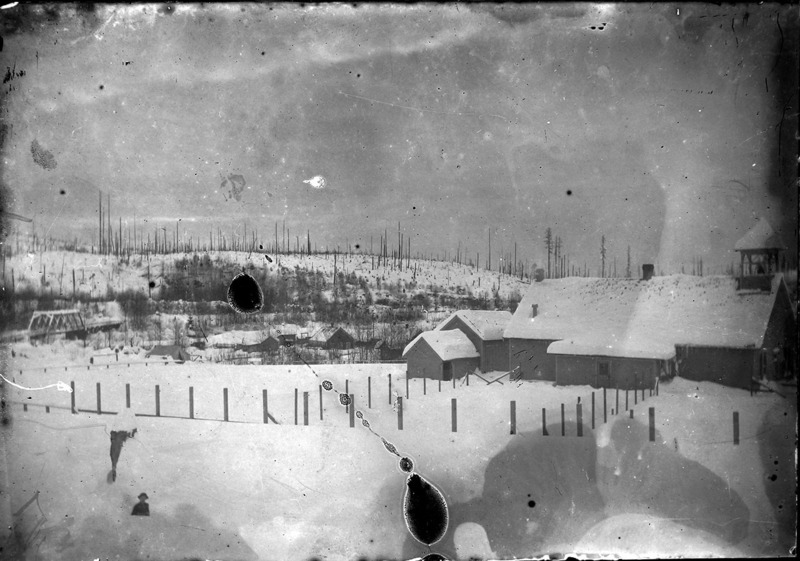 Please leave a comment below if you know anything about these photos. 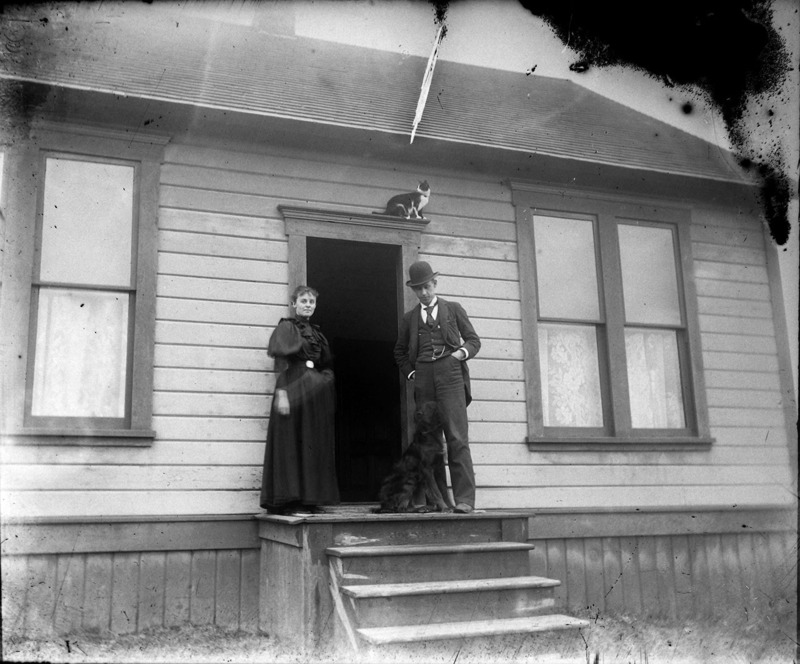 A couple with their dog and cat at the door. 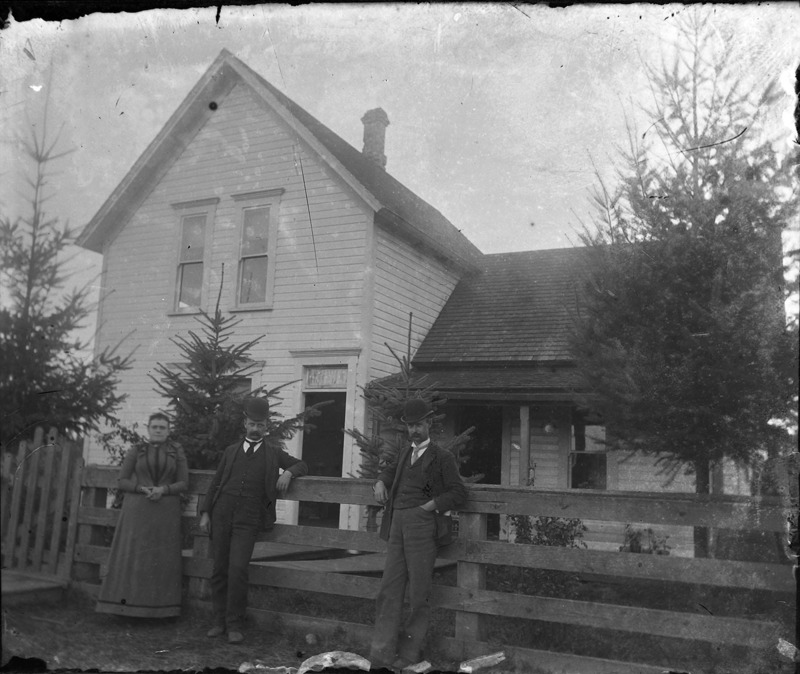 Two men and a woman lean on a fence near their house. Small girls play with apples in their yard. 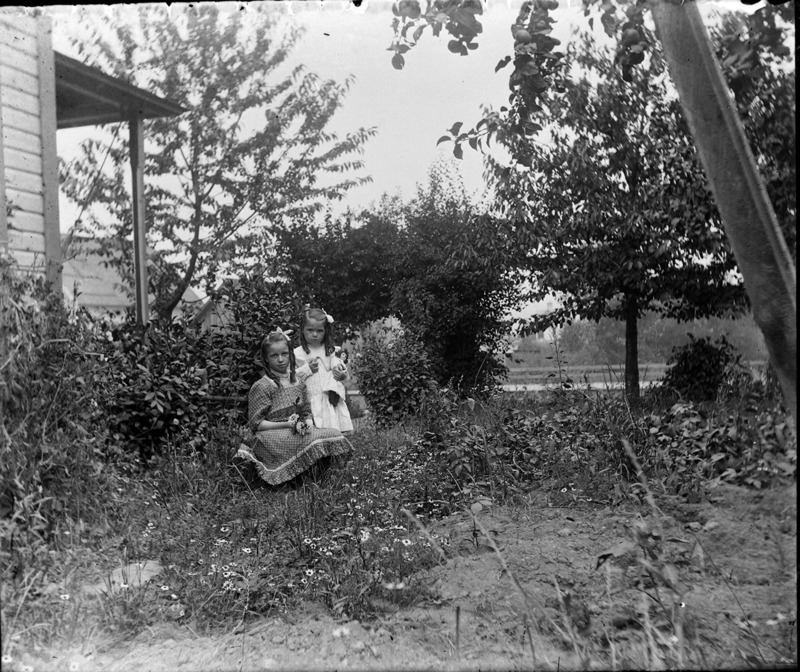 Two girls play witha doll in their yard. 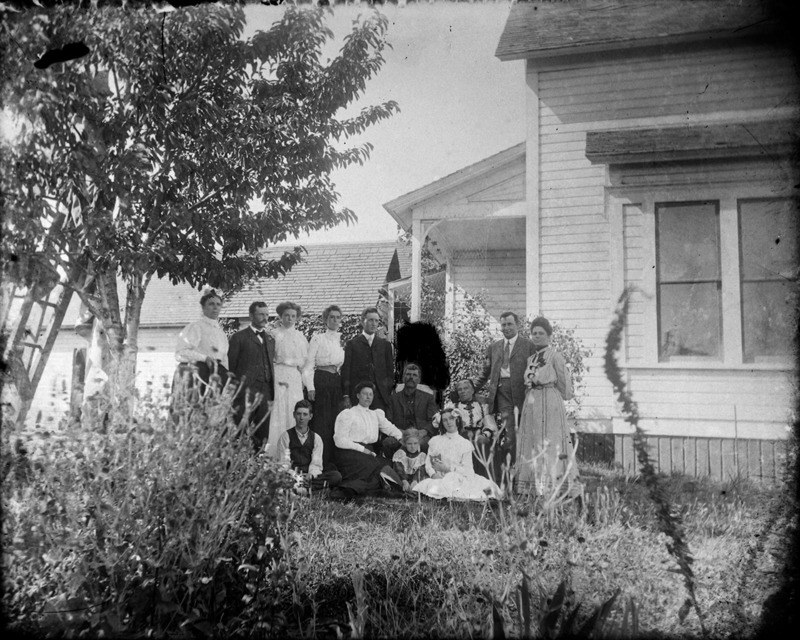 A group photo in their side yard. 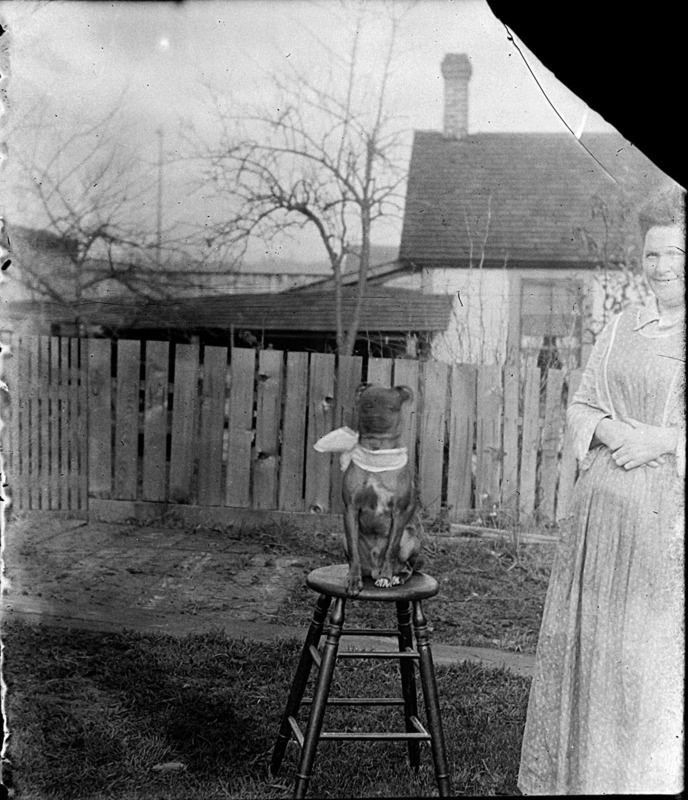 A woman with her dog, who is on a stool, in their back yard. 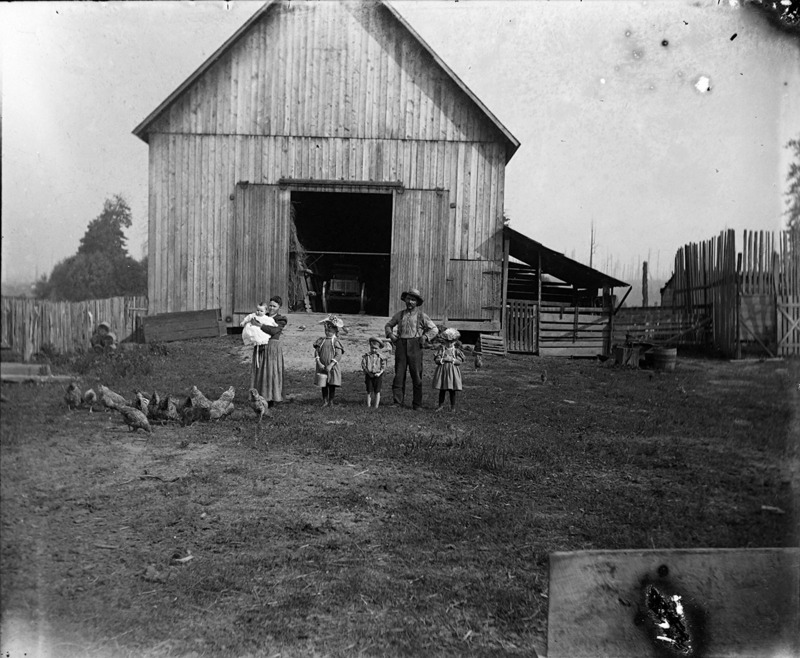 A family with their chickens.